There’s a palpable rising frustration in western Canada, particularly in Alberta, regarding the give-and-take of national programs—a growing sense (again) that Ottawa just doesn’t understand the West. Unfortunately for the country, increased western alienation could impose significant costs on the rest of Canada that Ottawa should recognize. 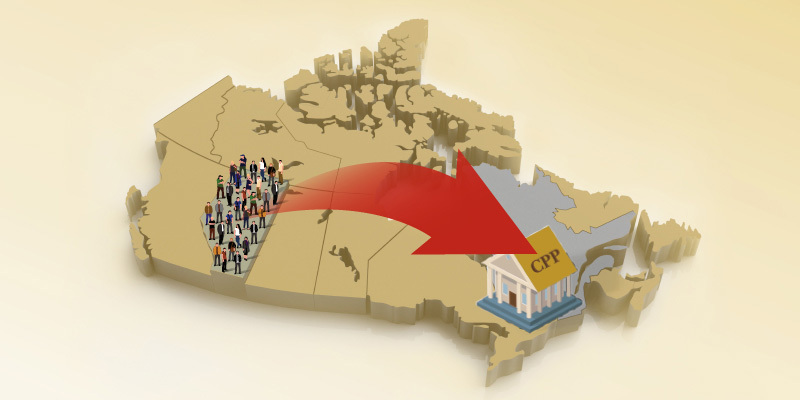 A new study documents the contributions of Albertans to the Canada Pension Plan (CPP) and provides specific, concrete information about what Alberta’s withdrawal from the CPP—though not recommended—would mean for the rest of the country. It’s first important to understand why Albertans contribute disproportionately more to national programs such as the CPP. The province has a younger population (less retirees), a higher employment rate (less unemployment payments) and higher incomes than the rest of the country. For example, in 2017, despite a weak economy, Alberta’s employment rate (66.7 per cent) was more than 5.0 percentage points higher than the rest of the country. Similarly, in 2016, Alberta’s average income was more than $7,400 higher than the corresponding average for the remaining provinces. The combination of a younger workforce and less retirees meant that in 2017, Alberta workers accounted for 16.5 per cent of the total contributions to the CPP while Alberta retirees consumed 10.8 per cent of CPP expenditures. The result was a net contribution by Albertans to the CPP of $2.9 billion in 2017 and $27.9 billion over the last decade (2008-2017). This is not meant to promote Alberta’s withdrawal—though a re-evaluation of the expanded CPP that began in 2019 is well-warranted—but rather to clearly illustrate the disproportionate contributions of Albertans to national programs.